Reflecting today as we mark 100 years since the death of Sir Hugh Munro, I struggle to think of anyone else in history who has become so synonymous not just with a place (or 282 places to be exact) but with an activity that has captured the imagination and inspired as many people as �Munro bagging�. 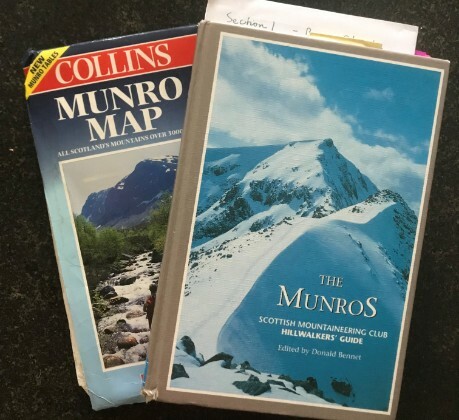 The Munro Society�s excellent exhibition at the AK Bell Library in Perth until the 18th May offers not only a great insight into Sir Hugh himself but to the deeper culture, history and heritage that has surrounded Scotland�s highest mountains since the first list was produced. Since the 1970s the boom in hillwalking has been well documented and the objective of completing all of the Munros has become a lifelong ambition for many. Not only is it a fantastic way to explore Scotland, but also makes a significant contribution to the health and economy of Scotland, as recognised by the politicians involved in last week�s Holyrood debate on the Legacy of Sir Hugh. I have yet to complete my first round and for the sake of domestic harmony I didn�t get out much for a few years after our family arrived, but those rare days I did get were probably the most precious ones I have ever had. A chance to escape the day-to-day, to clear the head and recharge the mental battery. In my view there is no better way to improve your mental and physical health than meeting the challenge of climbing a Munro. Some are easier than others but all of them present a challenge and, although it�s rewarding to tick the list, climbing just one is a great achievement for many people. Some days you are rewarded with the most spectacular of views, and others you are just happy to get back to the car safely. Sometimes alone, sometimes with friends and family, always offering a new experience that can be replayed in your memory. I see the Munros a bit like an extended virtual family - 282 mountains: some I know very well like old friends, others I know pretty well, having climbed them on multiple occasions, quite a few I have met only once, and many more I am still excited to get to know. Like an extended family, the Munros have always been there since I was a child. Like many of you reading this I�ve grown up with them being an ever-present part of my life, some years climbing more than others but always knowing they are there when the need or the inclination arises. Our challenge as custodians of the legacy Sir Hugh has left is to help to maintain the integrity of the landscape he loved, so we can ensure it can be enjoyed by all those who follow in our footsteps. We also need to continue to inspire the next generation of young people to take to the hills, to support our schools, clubs, youth groups and the great work done by the Duke of Edinburgh�s Award to introduce new people to the great outdoors. So here�s to Sir Hugh, and to all of us who share his passion for the mountains of Scotland.